This is not a man who can just do something quietly, normally, and without controversy. He is a lightening rod for media attention, and then covers his fingers in giant rings just to make sure the lightning has every possible chance to strike. 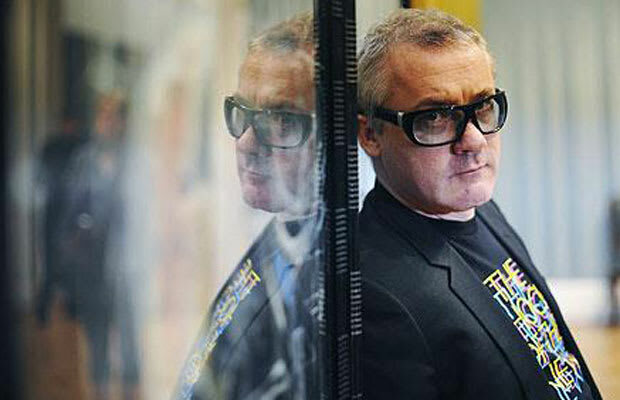 Though he’s only 46, Hirst has been living like it’s his midlife crisis for 20 years — buying expensive toys, joining a rock band, making crass and incendiary remarks, and wearing giant sunglasses day and night, indoors and out. Here are some of the outrageous moments of from the Hirst saga.